Sun-kissed from a day on the beach, children soon feel chilly when a sea breeze catches them on the walk back home. 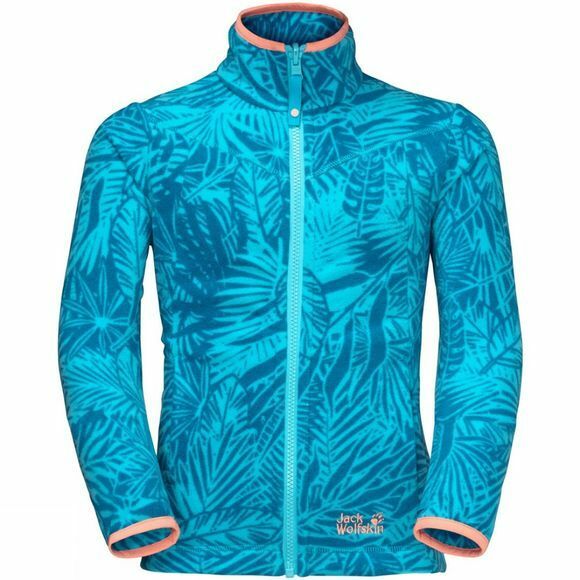 The Girl's Jungle Fleece shields her from cool breezes and stops those unwanted goose bumps. It's so stretchy it can even keep up with your little princess as she dashes about. In fact that's exactly why it's been sitting in your bag all day! During the wetter, cooler months of the year, your kids can easily zip it into a compatible rain jacket.